Part of my job here means I have all different kinds of confetti (pretty awesome job, but messy) I noticed I had a ton of stars in different shapes and sizes and wanted to use them in ornaments, because Christmas is a time for glitters and sparkles, right?? Lift ornament top off and drizzle some glue inside all over ornament. 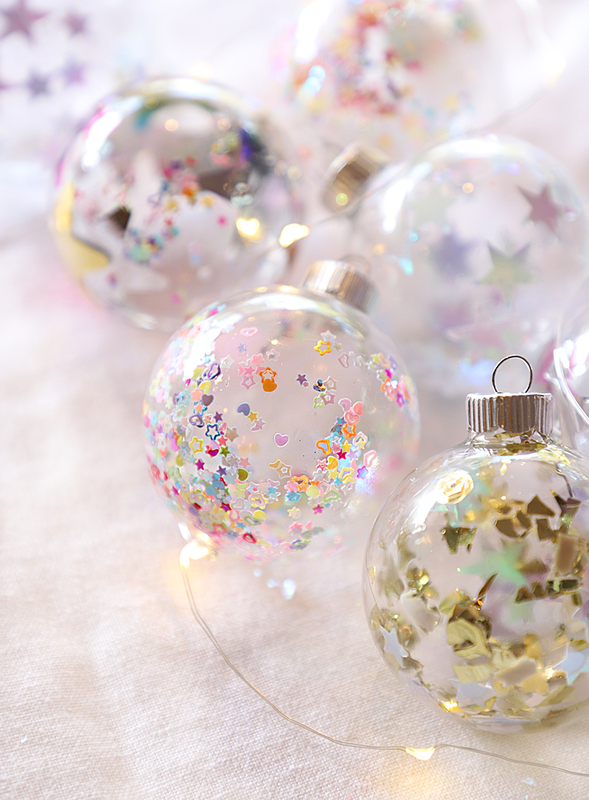 Add confetti and shake the ornament around. Reapply as needed until you get as much confetti as you like in the ornament. 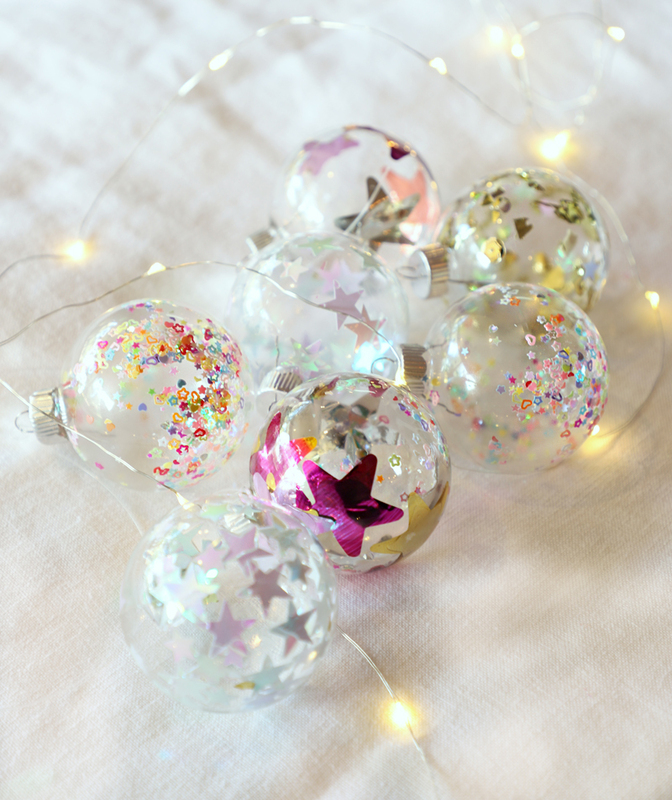 This is my ELEVENTH ornament DIY on A Bubbly Life, apparently I like making them? 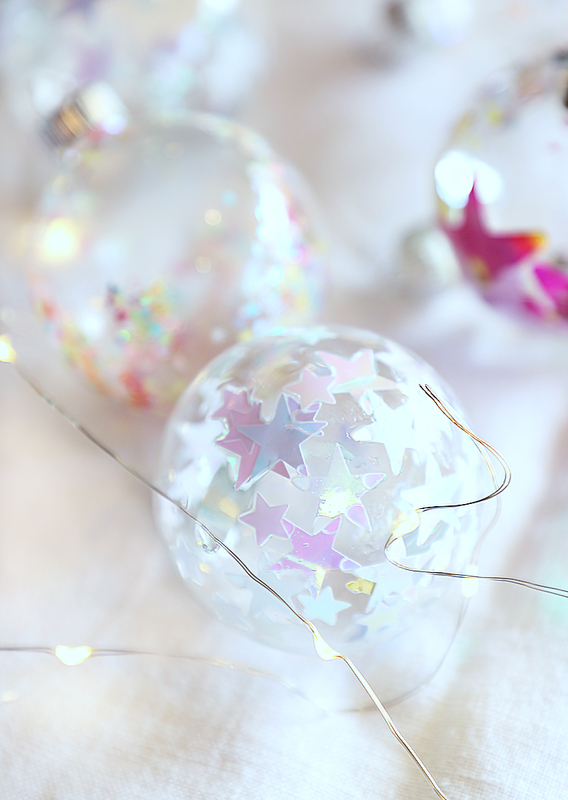 I will update the blog this week with all the ornaments in one post for you to pick your favorites to make on your own!